Thank you for your interest. The Top ASINs Report is not available at this time. For up-to-date information on products, inventory, pricing, and more, please use the reporting available in Selling Coach and Amazon Marketplace Web Service. Looking to grow your Amazon business? Marketplace Growth is 12 months of personalized coaching, training and insight from an assigned Amazon Account Manager who can help you learn how to expand your business, resolve business-critical issues, and optimize sales performance for US professional Sellers. This program also includes access to Premium Seller Support. Marketplace Growth has limited enrollment capacity. Apply now to be considered. Growing your business on Amazon? 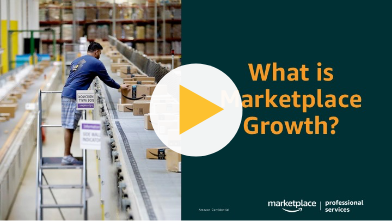 Marketplace Growth offers personalized coaching, training and insight from an assigned Amazon Account Manager who can help you learn how to expand your business, resolve business-critical issues, and optimize sales performance. This program is currently only available to Sellers selling in the United States.